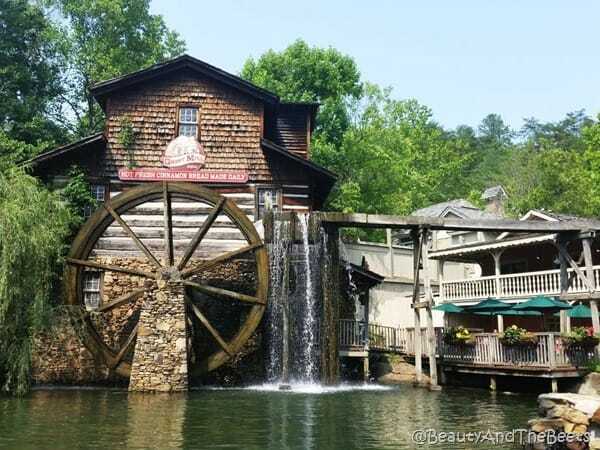 We took a recent trip to Gatlinburg, TN and decided to visit Dollywood in nearby Pigeon Forge. You would think being from Orlando, home of Walt Disney World, visiting another theme park would be the last thing we would want to do on vacation. But sometimes it is nice to get out and see something other than a mouse and a castle. 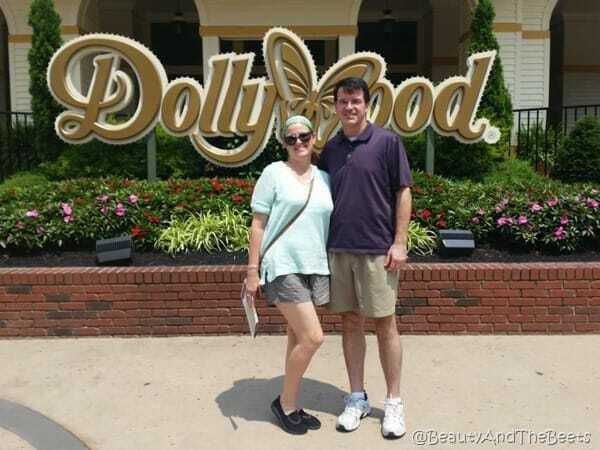 We were very pleasantly surprised by Dollywood. It was super clean and well laid out. We visited in July and the crowds were pretty thick this time of year. However, there is so much to see without having to stand in line. 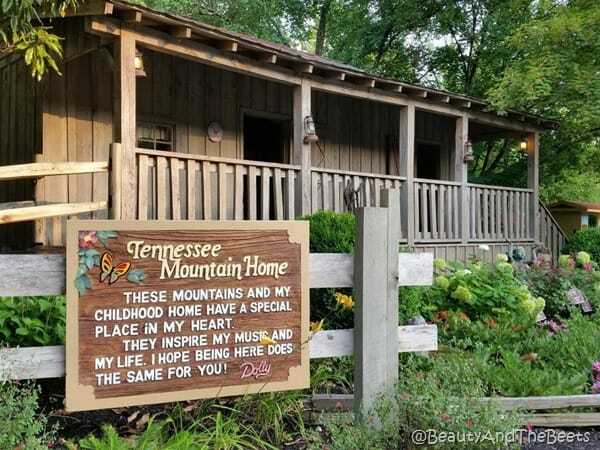 Just the ambiance alone is pretty cool- very rustic and country- just like the real world in the mountains of Tennessee. 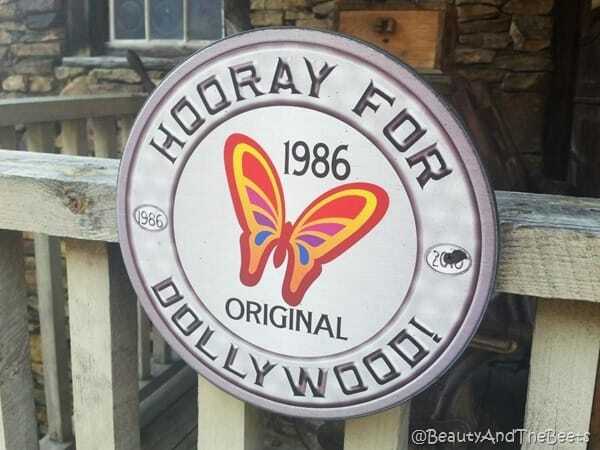 Dollywood was the project conceived by Dolly Parton and opened in 1986. Besides an abundant amount of roller coasters, water rides and souvenir shops, there is plenty to see regarding Dolly Parton and her life growing up and coming into music. You can see a replica of her childhood home, a one room cabin which she shared with her eleven siblings and two parents. There is also one of her tour buses she has crossed the country countless times in on display. And an entire building dedicated to a museum with Dolly’s costumes, awards and heirloom possessions. 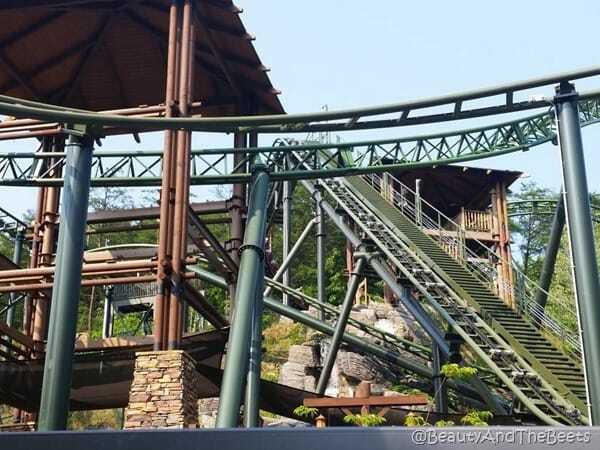 Then there are the rides – from tall and mighty roller coasters to small alpine slides, there is something for everyone. 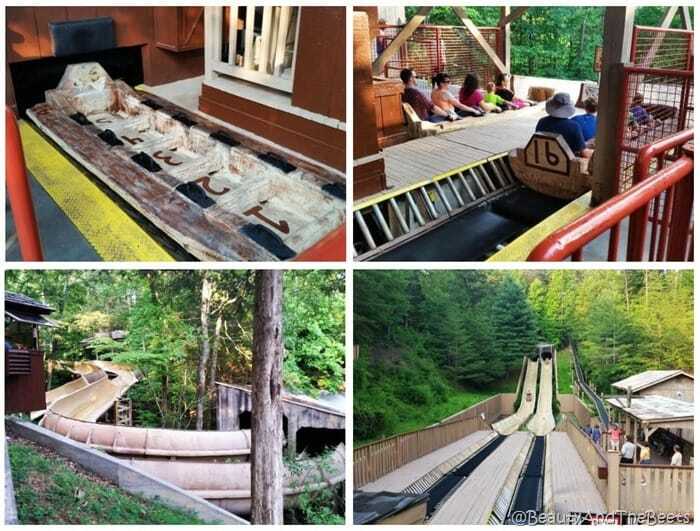 I think my favorite was the Mountain Sidewinder – a water-based coaster on a 5-person toboggan. The ride was not too high, not too fast and you don’t get that wet. 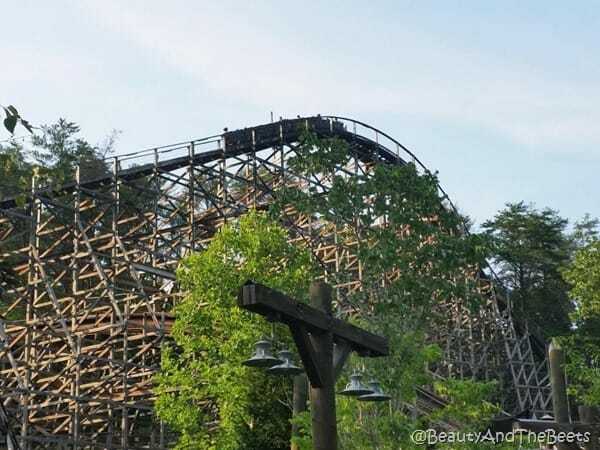 There are wooden coasters, coasters that roll you backwards and some that are way too high for my stomach. So sorry, if you are looking for a review of the new Lightning Rod coaster, well, you can see the video for the ride here. Eek. 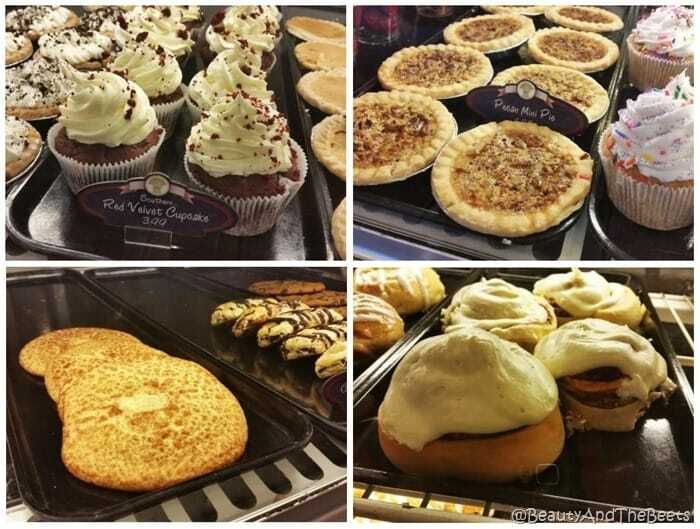 ….and loaded up on sugar……. Dinner was amazing. We went to Backstage Restaurant, one of only a handful of full-service eateries within the park. The food was pretty amazing, even though it was in a theme park. 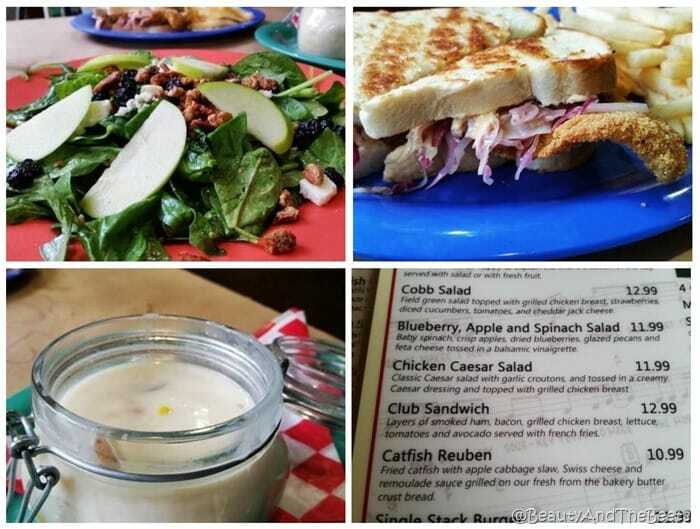 The salad was crisp and fresh but the Catfish Ruben stole the show. And the Corn Potato Chowder was amazing. After dinner was the perfect time for me to start practicing for my new job….I am going to be a Professional Porch Sitter. 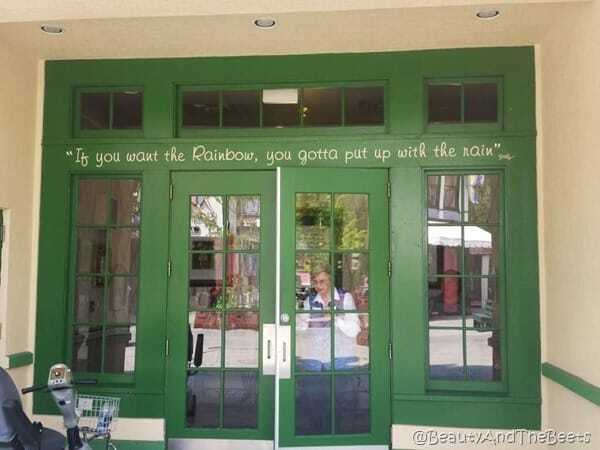 I just need a porch. And before you leave be sure you save some time for the fireworks. 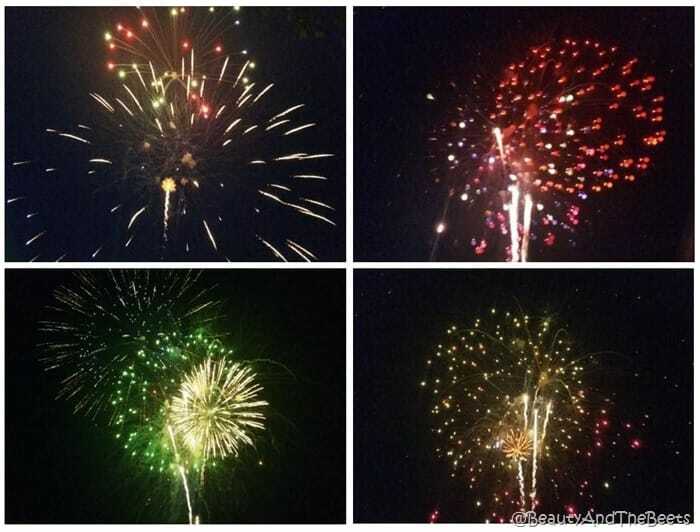 I am always a big fan of ending a fun day at a theme park with a spectacular fireworks display. 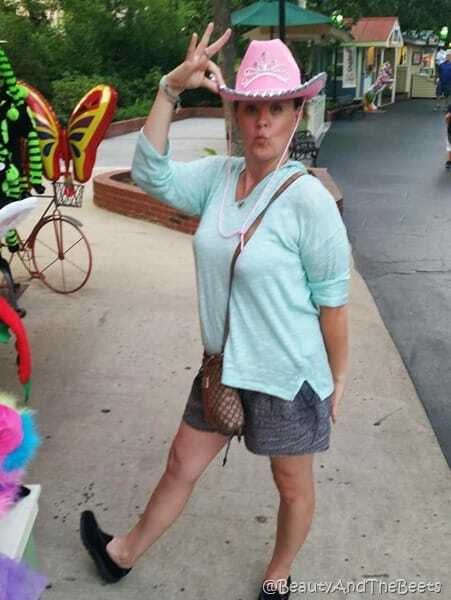 I cannot wait to visit Dollywood again and the entire Pigeon Forge/Gatlinburg region. Good ol’ Smoky Mountains. 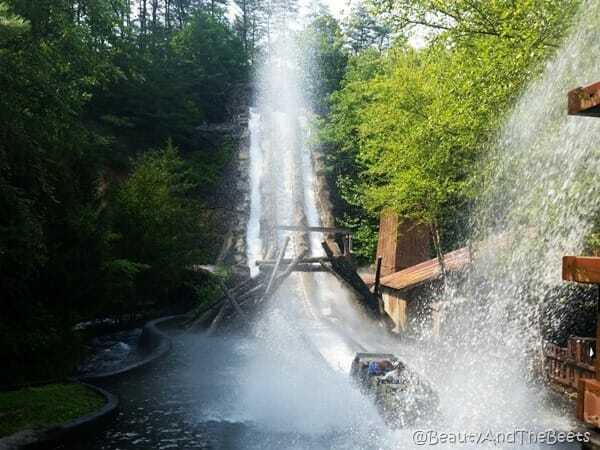 Until then, remember this…..
For more information visit the Dollywood website here.